Optionals are arguably one of the most important features of Swift, and key to what sets it apart from languages like Objective-C. By being forced to handle the case where something could be nil, we tend to write more predictable and less error prone code. Basically what we’re talking about here, is whether or not to do defensive programming. Do we try to recover from an undefined state, or do we simply give up and crash? If I had to give a binary answer to that question — I’d most definitely go with the latter. Undefined states lead to really hard to track down bugs, may lead to unwanted code execution and employing defensive programming will just lead to code that is hard to reason about. But, I’d prefer not to have to give a binary answer, and instead look into some techniques that we can use to work around this problem in a much more nuanced way. Let’s dive in! Variables and properties that are optionals, but are actually required by the program logic, are actually a symptom of an architectural flaw. If something is needed, to the point where not having it puts you in an undefined state — it shouldn’t be optional. While there are cases (such as when interacting with certain system APIs) where optionals are really hard to avoid — there are some techniques we can use to get rid of optionals in many situations. One way of avoiding optionals for properties which values need to be created after the parent object is created (such as views in a view controller — which should be created in loadView() or viewDidLoad()) is through the use of lazy properties. 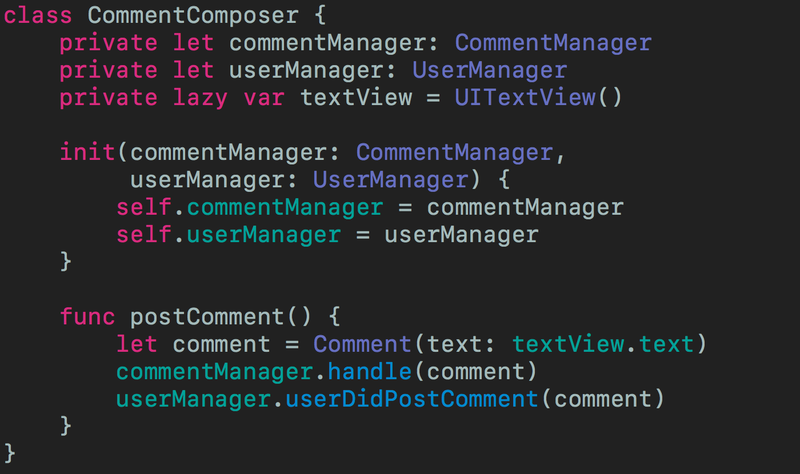 A lazy property can be non-optional, while still not being required to be created in its parent’s initializer. It will simply be created when first accessed. Above we saw a couple of examples where we could tweak our code to remove uncertainty by removing optionals. However, sometimes that’s not possible. Let’s say you are loading a local JSON file containing the configuration for your app. This is inherently an operation that can fail, so we’re going to need to add some error handling. Continuing program execution in case the config fails to load will put the app in an undefined state, so in this case it’s better to crash. That way we get a crash report, and hopefully our tests & QA process will catch this problem long before it reaches our users. The error message doesn’t tell us why and where the error occurred, and gives us no clues on how to fix it. 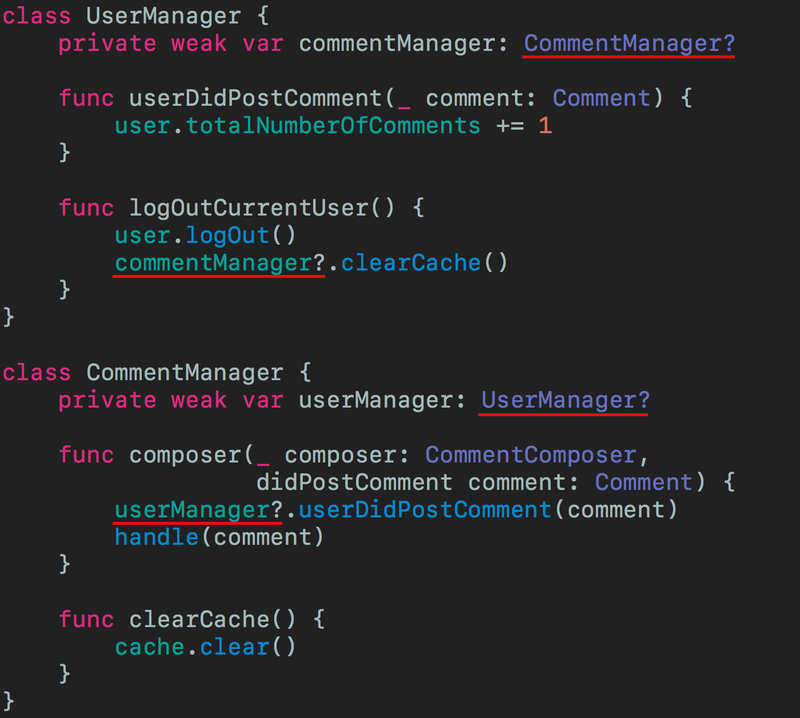 Instead, let’s use the guard statement, combined with the preconditionFailure() function, to exit with a custom message. Doing the above guard-let-preconditionFailure dance can be a bit tedious, and it does make the code a bit harder to follow. We really don’t want to give extraordinary circumstances like this so much room in our code — we want to focus on our logic. Another advantage of Require is that it will also throw an NSException as well as calling preconditionFailure, which will enable crash reporting tools like Crashlytics to pick up all the metadata of the crash. Require is open source on GitHub, if you want to use it in your code.